Geology buffs probably heard about the announcement last week of the discovery off the coast of Brazil of a large slab of granite. It's a geological anomaly; granite doesn't form in the deep ocean. It's associated with silica-rich magma that cooled slowly, underground. Granite forms the most abundant "basement rock" of continents, and most of it is very, very old. This piece seems to have been left behind as Africa and South America split when the Atlantic Ocean opened 160 million years ago, and was completely covered with water ten million years ago. I know! Let's report that the scientists have discovered Atlantis! Yes, Ms. Bennett-Smith, 2,600 years and ten million years are both many, many years. How very astute of you. But let me clarify something for you: this is not Atlantis. 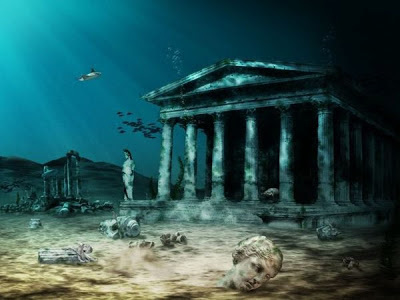 I know this for sure, because Atlantis was fictional. 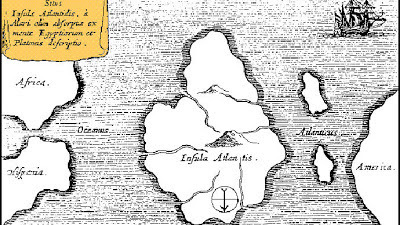 Two of the scientists, Shinichi Kawakami and Roberto Ventura Santos, put fuel on the fire by referring to the block of rock as "Atlantis" when they spoke to reporters. Santos evidently felt some trepidation about this (which he should have), and added, "We speak of Atlantis more in terms of symbolism. Obviously, we don’t expect to find a lost city in the middle of the Atlantic." Really, Dr. Santos? Then don't refer to the damn thing as Atlantis. 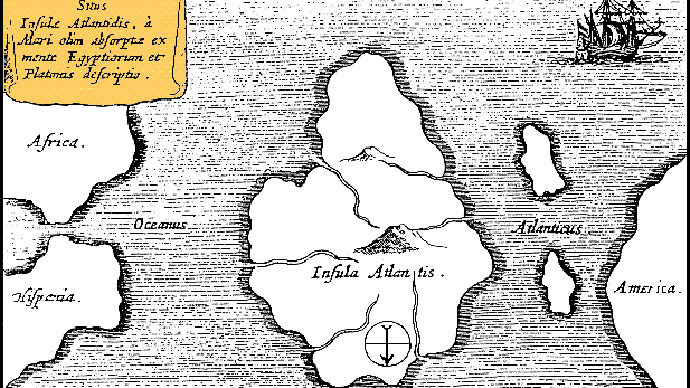 So, of course, now all of the woo-woos are having multiple orgasms over this "scientific proof" that Atlantis existed, as advertised, complete with cities and people and everything else described in Plato. By this morning, we have ha-ha-we-told-you-so articles appearing in The Truthseeker, The Controversial Files, Before It's News, The Hollow Earth Insider, and Godlike Productions, not to mention hundreds of theoretically more reliable news sources. Although a handful of them mentioned Santos' wishy-washy disclaimer, most of them burbled on and on about Plato and the fabled island of the philosopher-kings, because that's clearly more valid than the actual science. Let's get this straight. Ten million years ago, when the last bit of this continent went beneath the Atlantic Ocean, our nearest ancestors were chimp-like anthropoid apes somewhere in Africa. The earliest Australopithecenes didn't evolve until about four million years ago, and considering their brainpower, I'm doubtful that even they were "philosopher-kings." And by that time, this block of continental granite had already been sunk for six million years. This isn't Atlantis. Atlantis never existed. It's a folk tale, a myth, a legend with no basis whatsoever in fact. Of course, I don't expect this to convince anyone who wasn't already convinced. Especially because they have pictures. Okay, I'll stop now, because my forehead hurts from all of the headdesks I did while researching this post. I've got to chill out a little, because if I keep digging into this stuff I'll run across someone who claims that they found Shangri-La in Nepal and the remains of Minas Tirith in Bulgaria, and at that point I'll just take Ockham's Razor and slit my wrists with it. Not trying to mince words with you, Gordon... They don't even have "pictures." All they have are "illustrations" because "pictures" of something that doesn't exist are hard to obtain.